RMA Group understands that quality is the best way to differentiate itself in a competitive market, so RMA prides itself on the quality of its products, workplaces and relationships with clients and partners. RMA places a high value on the long-term strategic relationships with its global brands. 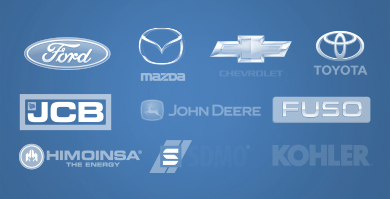 Ford, Mazda, Toyota, Fuso, Chevrolet, John Deere, JCB, Himoinsa, Kohler and SDMO stand as examples of that value and shared belief in quality. The same holds true with the value placed on partnerships built with governments, NGOs and the UN, and clients from the Mining, and Oil & Gas Sectors. RMA enters a client relationship with an eye on a long-term association. This level of partnership drives RMA logistics professionals to work side-by-side with clients to create the most cost-efficient routes and ensure a flawless delivery, to even the most remote location. 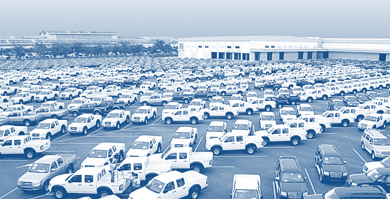 RMA’s 90,000m2 automotive center in Laem Chabang, Thailand, excels in engineering, design, assembly and distribution, and is strategically located for fast response to urgent needs in challenging markets. Maintenance is at the core of RMA’s quality program services, maximizing the lifecycles of vehicles, heavy equipment and power generators. An RMA Services Contract offers complete start-to-finish servicing. RMA has a global network of efficient people and processes that truly differentiate it from others. RMA standards of quality ensure that Aid & Development, Government, NGO, Commercial and Peacekeeping Mission fleets in post-conflict markets operate at maximum efficiency. 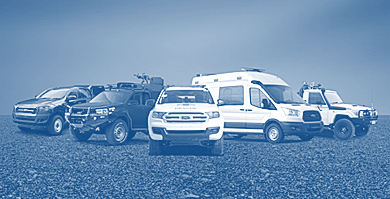 RMA provides its clients with the world’s best brands of vehicles and modified vehicles that are purpose-built and field-ready for the most difficult locations. RMA’s inventory of heavy equipment and power generators presents customers with a selection of global brands famed for their high standards of quality and value – John Deere, JCB, Himoinsa, SDMO and Kohler. RMA has ISO 9001:2008 and 9001:2015 certification and also meets the rigorous standards of Bureau Veritas. It also complies with the stringent quality guidelines of Ford Motor Company and has become the only participant in its Qualified Vehicle Modifier (QVM) program in Southeast Asia. This recognition ensures that each modified vehicle has been designed, built and tested to meet the highest levels of reliability, endurance and utility. RMA has received certification as an original OEM parts and service supplier for many of the world’s leading brands of trucks, heavy equipment and power generators.